Imagine the blue-green beauty of the Caribbean spread out before you as you feel the ocean breeze and warm Mexico sun on the PRIVATE BALCONY of your own condominium. 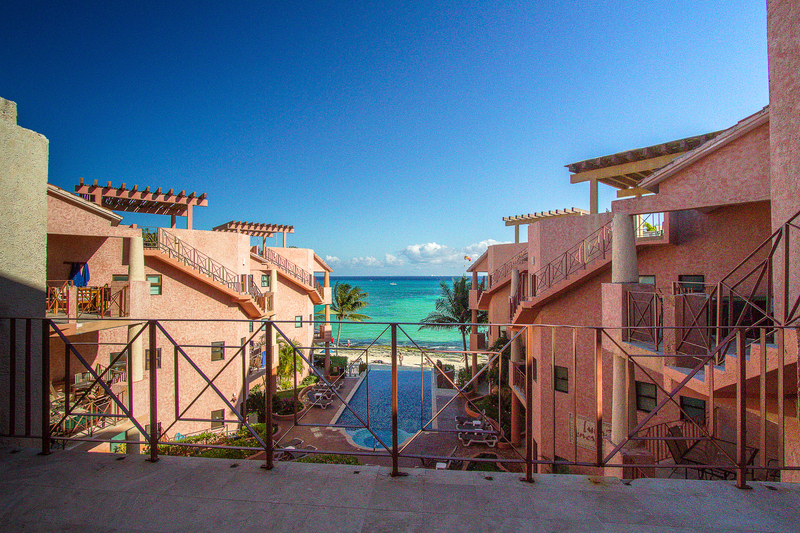 Imagine walking out of your condominium on to the white sand beaches of one of the world's top locations. Imagine experiencing the international flavor of music and dining only half a block away! Yes, it is possible. Luna Encantada, Playa del Carmen's LUXURY condominium complex, is open! And the G3 penthouse unit, is one of the the premiere locations in the complex. With deluxe finishes, including stone, marble, and granite throughout, walk-in closets, television and internet, full kitchen, washer and dryer, safe, a gorgeous roof deck with ocean views, and the best guest and maid service available, you don't need look any further for the perfect vacation! Note - During music festivals, no refunds will be processed due to noise or music.